We're on! You're invited to explore the back roads, hills and valleys of Wisconsin's Driftless Area with us on September 22-24 This year we will be based in Richland Center, Wisconsin. As in prior years, we've gathered for lunch on Friday, then heading out for an afternoon ride of approximately 90 miles. Saturday will be a longer ride (~140 miles), and we'll try to get a short ride in Sunday before everyone heads home. 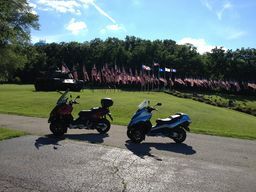 Phone:(608) 647-8869 There is a block of rooms reserved under Wisconscoot at $85 for a standard room. Rooms will be held until 30 days prior. Anyone with moderate or greater riding ability and 150cc or larger scooter (assuming some 55 mph stretches) is invited to join us. For planning purposes we'd like a reasonably firm commitment and contact information a minimum of a week or two before the event. No gravel is planned this year (although that was what was said last year, IIRC ). I have confirmed reservations in the Block of Rooms. sitting outside sipping a brandy, and smoking a cigar. riding my Dragon Red Vespa GTS300. Will be great to have you, Bob. I've got to work on that "fearless" stuff though. I'm hoping to also be in your company come ride time. I want to be in two places at the same time during your ride week. The other event is an old car hobby event in Nebraska. Your events are always such great riding. This year it would be the GTV 300 ie turn to roam the backroads of WI. Will be great to have you, Russ. Be sure to bring the bugle. We'll do everything to make this a better experience than last year, at least the gravel part. I'm thinking we might make a weekend of pre-riding this time around. I'd love to come join you, but I'm afraid I'll have to play it by ear. I'll be trying the IA route 6 river to river on the preceding weekend. If all goes well, I'll be available. Kraig Jones felt I posted to much persona information. Slashy, great to have another Iowan on board! That is, if you make it. Not a big deal to decide late..... You might be able to coordinate something with Russ. Bob, Yeah, that crossed my mind, though it's nothing someone can't get if they want it. At any rate, I already put Bruce in my phone, so we're all good. Bah, who looks on MV? There is a chance that those dates could work for me. I would prefer to ride up this time. Rocket has a new engine and is itching for to a long ride. A long ride indeed! It would be great to see you, Bill. Hope you can make it. Oooh, ohhh!! You'll be in good hands once you pass the Illinois border. Y'all are welcome if you can bring some up with you. Looks like Tuesday will be my first commute day of the year. Out this week, then it rained. This virus is sapping all of my riding enthusiasm. Had enough energy to wash the dust off the scooter today. Woot! OK, well, just to be clear, it certainly did NOT work out to commute yesterday. Where can I find a link to register for Wisconscoot 2017? 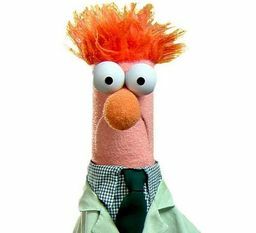 Joe, you should send a PM to fledermaus. 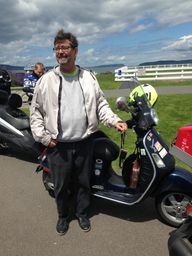 Are you going to the Land of 10,000 Scoots rally this year? We're being overrun by Minnesotans!! Actually, y'all are a great bunch...glad to have you. It's not that bad really. I'm a Green Bay native! Oh, well that's different then! We can welcome you back to Cheese Country. This is pretty crazy that I'm even posting on here, but oh, well, what the h***. 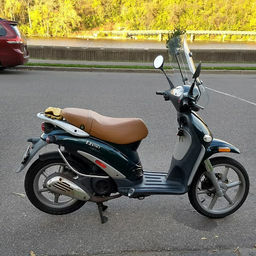 I have a Piaggio Lt150. Would this work? How does this go? Do you all return to the same hotel after day rides? I just got it back from the shop, it runs great, I am probably in an irrational state of mind. Oh, I'm from Minnesota. But I don't care about the fate of the Vikings if that helps any (Ziggy Wilf is a crook). I'm genuinely curious about these events, so more information is helpful. Or a website...? 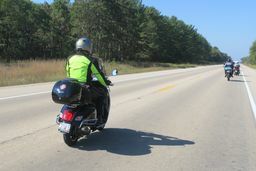 This is the website, and this is the place, to learn about Wisconscoot. I don't recall seeing a 150cc scoot on the last two rides, but I also don't recall seeing 55MPH much, either. Bob, I would recommend that you get some group riding under your belt. Have you checked out Heck's Angels? I know they haven't been too active yet this year but they should soon start to schedule some shorter distance rides. 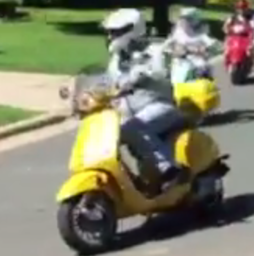 Also, there's the 10,000 Scoots rally that comes up in August, before Wisconscoot. Hope to see you around! Great advice, Kraig. I think the scooter is fine, but if you haven't ridden in a group before, you might want to have a few rides at lower speeds, say, with a 50cc-friendly ride. Wisconscoot isn't supposed to be ultra-challenging, but there are moments when you'll have more fun (and keep the ride safer) if you have more experience. We did have a Stella last year (IIRC, Mark, with the red one). Had to leave early. With a 150 you can expect some possible WOT riding, but we won't lose you, either. Thanks to all of you! I know of Heck's Angels, but haven't yet contacted them since I've only had a reliable scooter for two days now! I know nothing about group riding (except from reading), so I will continue my education. With a name like Heck's Angels, you know the initiation has to be rough. I don't think you should feel intimidated by the challenges of group riding....it's not a huge deal, but it's also far different than going for a joy ride alone. There are rules to be mindful of, and especially spacing and speed control and situational awareness that's more challenging. Getting your basic riding skills up to speed is the first step, then group rides at lower speeds...... It's not a time to think independently... I think it was on a large Amerivespa ride a couple years back where we were riding along on a road with a full lane to our right, and the guy in front of me would randomly pull out of formation, ride along for a couple of blocks and then rejoin the group. He wasn't around when we finally stopped or he would have had an earful. group for two years on a Piaggo Scarabeo 150 that also had larger wheels. at 60 mph, the Piaggo 150cc was always maxed out on rpms. stops ever hour for a rest or lunch. 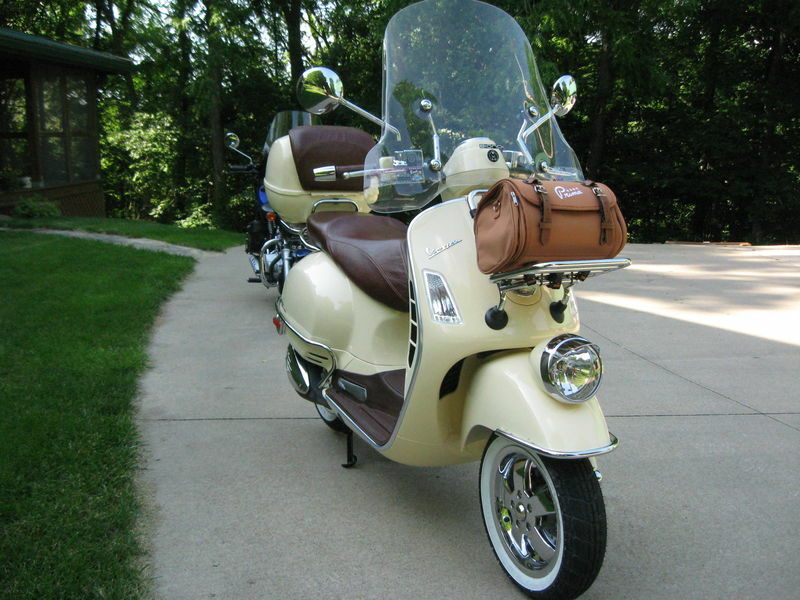 Also, Joe Metzler is considering trailering his scoot to the Wisconscoot. at the Ramada Richland Center (that can be cancelled). Good luck riding. Heck's Angels has a ride May 20th in Minneapolis. Good offer....take a bit more time coming down, but great opportunity vs. attempting a solo, plus more group-riding practice! Yep. Looks even better in person.